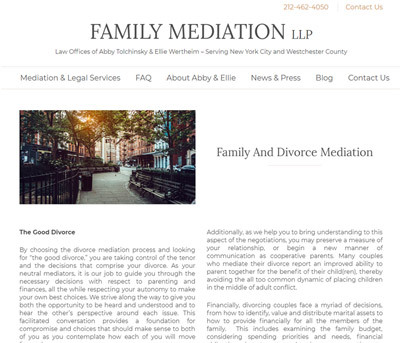 Family Mediation LLP is one of the top Law Offices in New York offering mediation and legal services for family law. 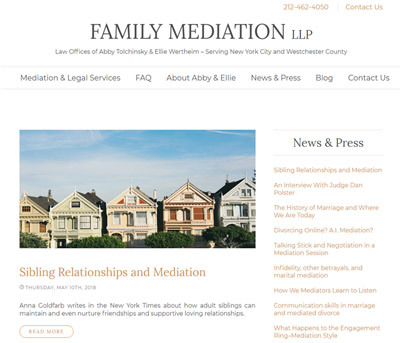 We worked with them to create a new, modern website that offered a simple and bold look that complemented their outstanding reputation in the New York area. The colors throughout the website were chosen to make a subtle and profound impact on the user. We chose to use a dark gray color for the text and a muted gold color for an accent, along with a plain white background. This color palate represents a strong sense of expertise that reflects positively on the practice. Large white spaces make the site appear welcoming and simple to read. A combination of a serif font for headings and a san-serif font for body text adds a sense of clarity and simplicity to the site. The artwork in the site is all based on the New York area, and each image was carefully chosen to communicate a sense of solemnness with a breath of optimism. 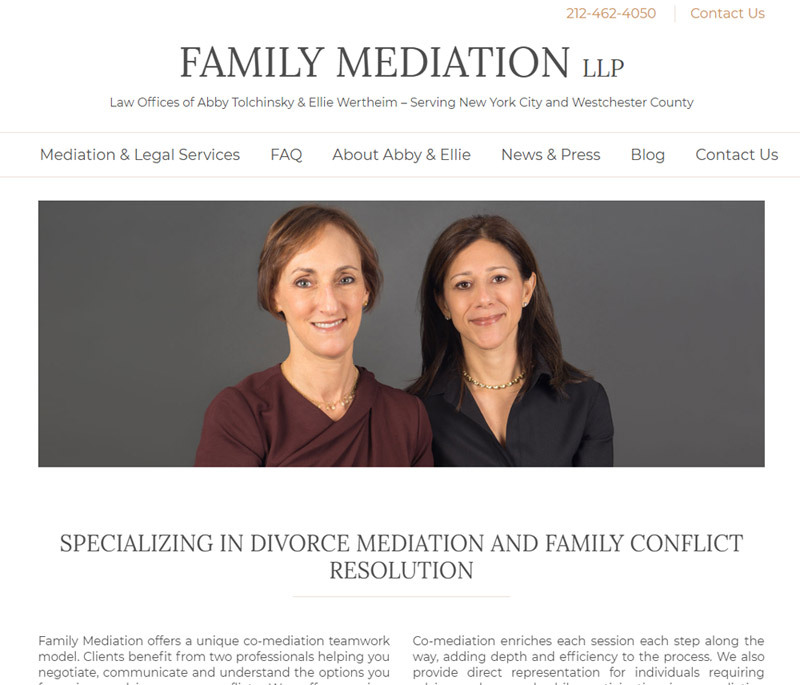 Altogether, the site communicates that the practice is professional, experienced, and helpful.